2008, November: Postgraduate course Environmental factors impact on biodiversity, organized by Romanian Academy Biology Institute, Bucharest. 2007- present: PhD student at Food Science and Engineering Faculty, Dunarea de Jos University, Galati; subject: The study and the modelling of the bioprocesses concerned in the industrial wastewaters bioremediation. 2006-2007: Socrates–Erasmus scholarship to Technische Universität Carolo-Wilhelmina – Braunschweig - Germany; research activity at the Microbiology Institute, Biochemical Techniques course at the Biochemical and Biotechnological Institute. 2005- 2007: Master in Microbial and Cellular Biotechnologies, Faculty of Biology, „Alexandru Ioan Cuza” University from Iasi, Romania. 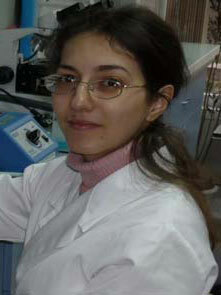 2001- 2005: Faculty of Biology, „Alexandru Ioan Cuza” University from Iasi, Romania. 1997- 2001: „Emil Racovita” Theoretical Highschool, Galati.